Can a marriage by proxy work when the couple has never met? Nathan, a widower, is critically injured in a Civil War battle and lies on his deathbed. His best friend, Ben, promises to care for his daughter. Benâ€™s sister, Allison, is doomed to become a spinster so she jumps at the chance to become a widow when Ben suggests she marry Nathan. She must act quickly because the doctor said he wouldnâ€™t last out the week. 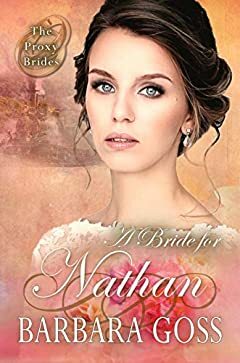 A problem arises after the marriageâ€”Nathan doesn't die, and the couple comes to the realization they need to end the marriage or try to live as a family to make the best of the situation for the child. Can Nathan live with Allie's problem, and can Allie cope with Nathanâ€™s disability? Will the platonic arrangement become permanent or will the couple come to fall in love?